"I used this recipe when I was fasting for 30 days of no meat and have been using it ever since." 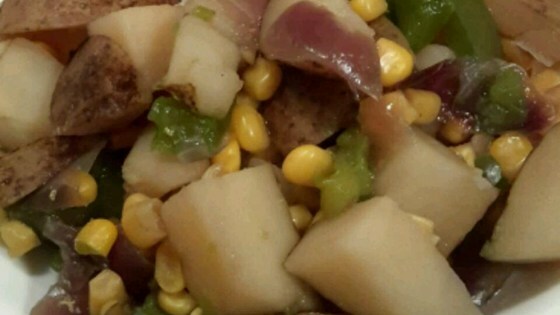 1In a large pot over high heat, combine potatoes, carrots, onion, green bell pepper, corn and water. Boil until tender, then add bouillon. 2Reduce heat to medium and simmer for 10 minutes.